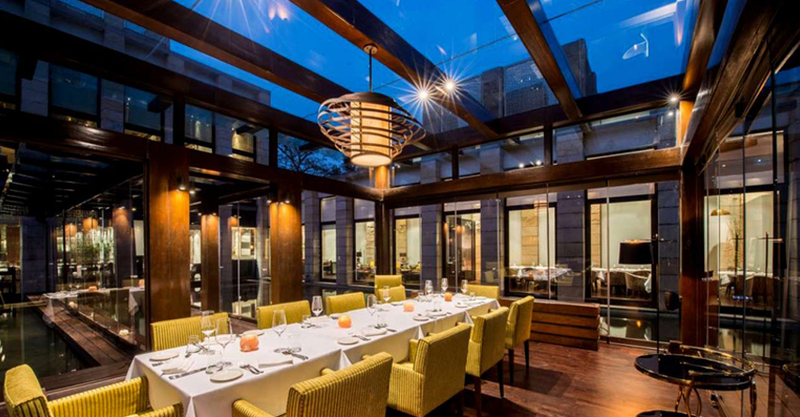 A Delhi restaurant has been ranked in a list of the world’s best restaurants in the world, ZeeBiz reported Friday. The report says that Indian Accent, which is located in the capital’s Lodhi Road, holds 90th position. The restaurant, which is known for its modern take on Indian cuisine, is a hit with locals as well as critics. William Reed Business Media prepares the list every year with the votes of more than 1,000 restaurateurs, chefs, food writers, and gastronomes. Voting was conducted in 26 regions around the world, each having a panel of 40 members of its own. The list was announced at an event in Bilbao, Spain. Started in 2002, this award serves as a major part in the growth of the business. Good ranks tend to dramatically increase the number of visitors to the website that eventually leads to the increase in the number of bookings of the restaurants. The top position on the list is held by Osteria Francescana of Italy followed by a Spanish restaurant El Celler de Can Roca. Mirazur, Menton of France, Eleven Madison Park of New York and Gaggan of Bangkok hold the third, fourth and the fifth position respectively. New York's Madison Park which held the top position, last year has been descended to the 4th position in the current list. Although, not much has changed in the top ten list, just a little bit of re-suffle in the existing list. While the United States got 4 more names in the Top 100 from last year, Mexico added two more restaurants in the top 15, which has 20 entries last year.